The book Veggie Garden Remix is full of interesting new and unusual plants that you can easily grow, creating an extraordinary and prolific garden. I was so excited to receive this book, Veggie Garden Remix, in the mail from follow blogger and gardening expert, Niki Jabbour. It is absolutely gorgeous! Almost like a beautiful coffee table book in paperback form. 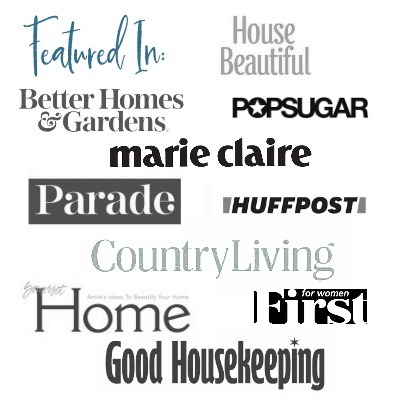 However, it is also packed with great ideas, tips and detail information. The best part; I’m giving away this wonderful new book to one lucky reader. The theme of this book is to introduce the reader to new and unusual plants from around the globe. I particularly love the format of “Like that? Then try this,” for several everyday vegetables you are probably already growing. Here’s a great example. If you like spring radishes, you’ll love this winter watermelon radish. How beautiful is this radish? I’d grow it just for the color. Maybe it’s the collector in me, but this concept seems genius. Even though I’m mainly an ornamental gardener, I do grow a lot of herbs, and Niki has a great section about unusual herbs too. I have my eye on Papalo which is similar to cilantro, and Mitsuba which tastes like a mix of parsely and chervil. The fact that Mitsuba is a hardy perennial gives it bonus points for me. I’d recommend this book to anyone who enjoys gardening. Perfect for gift giving. You could even create a gift basket with this book, a new pair of garden gloves, and seeds of one of these fancy new varieties. Open to residents of Canada (excluding Quebec) and the continental United States. Entries must be received by this Thursday evening, March 1, 2018 at 11:59 pm EST. The winner will be contacted by email and posted here on Friday, March 2, 2018. One entry per person and/or IP address. 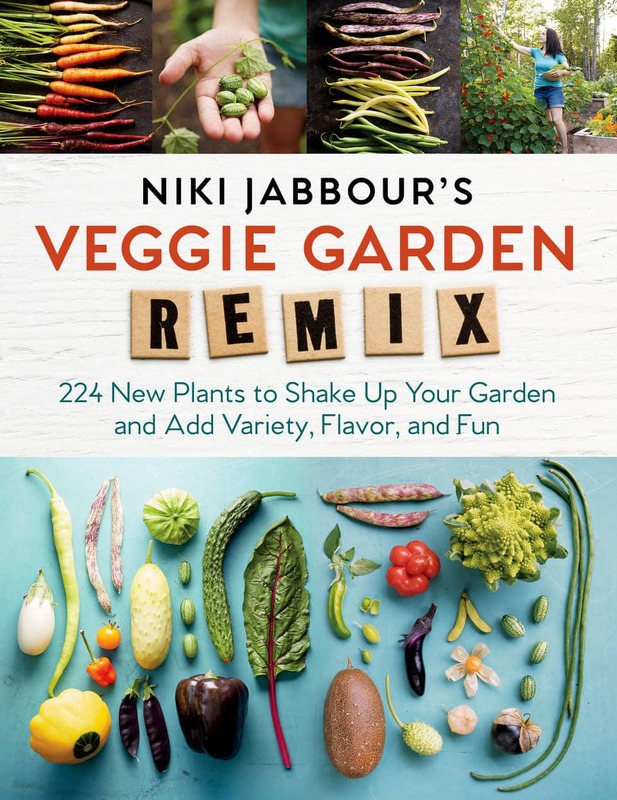 Prize includes the book Veggie Garden Remix by Niki Jabbour –retail value $19.95 US. Winner will be selected randomly from eligible entries, notified by email, and have seven days to claim their prize. To enter, leave a comment about your favorite edible that you like to eat or grow. (below). By entering this giveaway, you agree to the terms and confirm you meet the entry requirements. And the Winner is Dena! I love growing all kinds vegetables and this book looks like it would vbe a wonderful reference and help. I really wanted to try my hand at growing romesco and brocolinni this year as well as expanding my herb garden. Love eating cherry tomatoes and snap peas while working in the garden! This book sounds like fun! I like to eat and grow all my vegetables. I have done it since I was a kid and love to do it. I would love to learn new ways. I love to grow broccoli, and would love to try the watermelon radish. What a fun book. I went away from vegetable gardening for a while because of fighting with the critters all the time to get it before they do! But this year, I am going back, and using lots of raised beds! I would love to win the book! We love to grow tomatoes, lettuce, cucumbers and radishes. Sometimes we try yellow squash and zucchini. I love cherry tomatoes, my grandson and I pick and eat so much fun. I would enjoy to be inspired to try something new. Began my serious vegetable gardening last spring with the usual tomatoes, basil, peppers and a few herbs. Did very well, learning about amending the soil, composting, etc. Can’t wait for Spring and would love to try new things! This looks really cool! My husband is already talking about his veggie garden and I’d like to try something new. I really would like to win this book. Very interesting and would use them in my raised garden beds. Thank you.